High performance dedicated servers, deployed in hours. cPanel / WHM, the industry’s leading control panel for Linux servers, is now FREE with all Servers. 24x7x365 customer support with any request you may have. We pay special attention to each server's security, pre and post production, to provide peace of mind to our clients. Dedicated servers from Signalprime.com are aimed at those who desire powerful performance and fantastic reliability in order to give their website the best possible speed and dependability. Whatever your development plans are, your server has to meet your requirements. At Signalprime.com, we understand this. Our servers guarantee performance, flexibility, and security. We offer a flexible range of servers for every demand, with the latest generation of hardware. 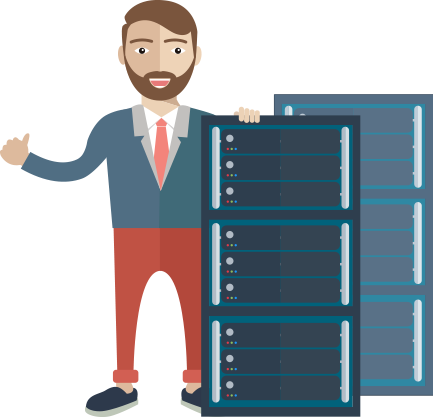 The benefits of using a dedicated server mean you won't be sharing resources within anyone else, you'll be the only client hosted on the server, so your CPU, hard disks and RAM will be 100% yours.